This tutorial has been updated on October 19, 2015. 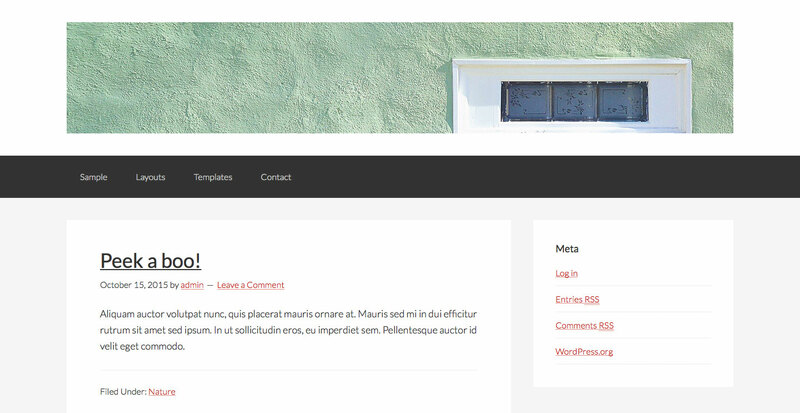 Want to use a image as wide as the container as header in Genesis child themes? or how about a fully wide header image going edge to edge? I’m about to try this with the Magazine theme, would these dimensions work? Is it responsive? I’ve read that some people have issues with that when uploading their own headers. I just added that to my functions.php and my entire site went down. I can’t access it all, or the log in page. It is just a white blank screen. According to the google search I have to uninstall all plug ins, use an FTP client, and rename the theme… so I am sure I can get it back, but quite a wrench in the scheme of things! If you would like me to fix it, send me your WP dashboard and FTP/cPanel logins via http://www.sridharkatakam.com/contact/. I’ve tried this with the Modern Blogger Pro theme and it keeps breaking and giving me the white screen when I paste into the functions.php. I copied your code raw, changed the image link, and I’m working on local server. Does this code work on Modern Blogger theme? Did you by chance, include the opening PHP tag from the copied code in functions.php? You should not. No, Sridhar I did not. But what I did in error is left out the last bracket. Thanks for your help and your great tutorials as always. That totally worked! thanks! Another question. Am I able to get it beyond the length of what the header is now because it seems to be fixed with the page column. I don’t want it to stretch to the edges but I am thinking of re designing so it’s not so rectangular so will need it to break free of it’s confines. Ta. Change 1280 to the width of your header image. Trying to use this method again. You seem like a guru on all of this. Basically Dreamhost are now using Pydio which for some reason won’t let me edit or even see my functions.php anymore (they were once using ajax). I also can’t edit in FileZilla as the subscription for my HTML editor has expired. Do you know a decent free HTML editor to download for iOS? This may also explain why Pydio won’t open my files, which is rubbish. Or if there is a way to just change it via WP child theme settings. I’ve been successful in getting a full width responsive header placed in Runway using your code and removed the padding in desktop view. I would like to know how do you remove the extra padding for mobile view? Thanks for the tutorial. I have been looking far and wide but I cant’ seem to get this to work with the Streamline Pro theme from Studio Press. Maybe my skills aren’t good enough and I’m not inserting the code into the correct location but I continue to get the error when I enter the code into the functions.php file of my child theme. Does the code need to go at the very top of the original code or does it have to be placed in a particular area? Thanks in advance. 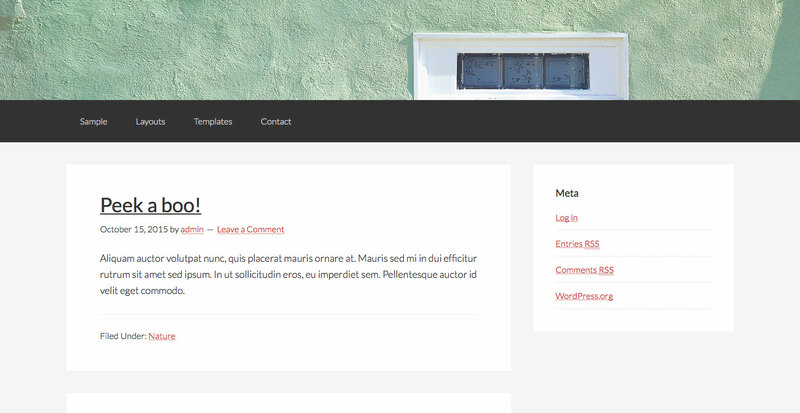 Hi Sridhar – where can I see you new theme referred to in this thread – thanks! Not sure if that’s what you are asking for, though. Worked like a charm on Lifestyle Pro. Thanks Sridhar! You are awesome – you’ve saved me hours and hours of time. This absolutely worked perfectly on my client site. Thanks and I hope the move to Australia went well for you! i need to customize my header image to 1260×300 in genesis news pro theme but how???????? Followed your instructions and I tested on a demo-test site first and it worked perfectly! Thank you for the great guide! I used it on my website and got the header to link back to my home page. I am having a problem with the whitespace/padding around my header image. As suggested here and in related posts, but I cannot seem to get it to remove the padding. I also tried modifying a section i found in my CSS folder from 40 to 0. However, I have been unable to remove the whitespace. Would you mind taking a look at http://www.investingisland.com and offering suggestions? I do not see any whitespace around the header on your site. Guess you managed it? Yes, turns out it was right all along but I forgot to clear my cache. Haha. Thank you for the help! THANK YOU!!! So very very much! I´ve been sitting here literally all day trying to figure this out, and after applying at least 15 different techniques (thats how it feels at least), your method its the one that gets me where I wanted to be – finally! I don´t have any experience with CSS and php, but your instructions were very nice and clear, even I could do it. Having trouble addind widget in header-right with this. I tried adding do_action( 'genesis_header_right' ); to sk_do_header but nothing happened. Am trying genesis_custom_header for this right now. Would that be a better approach to achieve this (tutorial’s) result? I’m using Dynamik and my post/page content areas have a 20px padding on left & right. The result is my header is a little wider than the content below. I’ve tried everything in CSS that I can think of. Any suggestions? just added this to my site but the header is in no way responsive, when I change the screen size it just cuts off portions of the header image. Could you please advise?